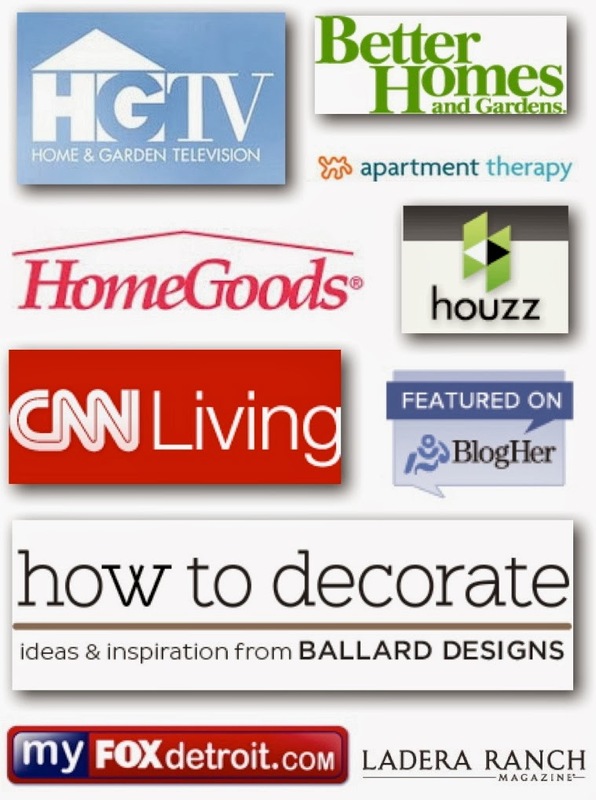 Welcome to Day Two of my 31 Days of Design Series. If you missed the announcement on this new series, please click here for the details. Today's featured design is an Online Design Project we just completed for a family that was looking to finish off their large basement family room. After consulting with them through our client survey, we designed a space that would appeal to each member of this family of four. This space turned out to be a unique design that was inspired by the items the family has collected through the years on their travels. 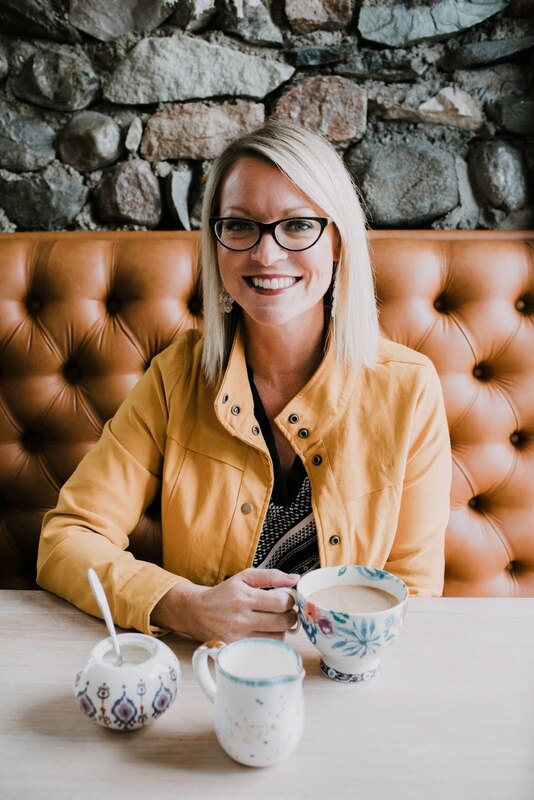 It also embraces special family photos, the kids artwork from their elementary days, the husband and sons' love of fishing/outdoors and the mom's desire to have a beautiful, aesthetically pleasing space for her family to gather. Her requests included a neutral color palette, a sophisticated and refined style that was also comfortable and provided lots of seating. When we began this project, our clients had a great start on the new design. The space already featured a stunning, stacked stone fireplace and floor to ceiling built-ins in a beautiful medium wood tone. 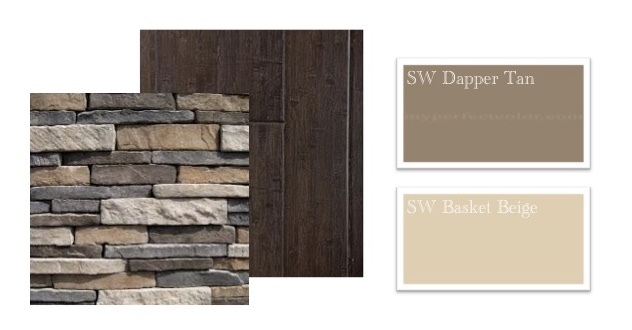 Gorgeous, dark, hardwood floors reached from wall to wall and a neutral wall color, "SW Basket Beige" was highlighted by "SW Dapper Tan" applied to the trim. 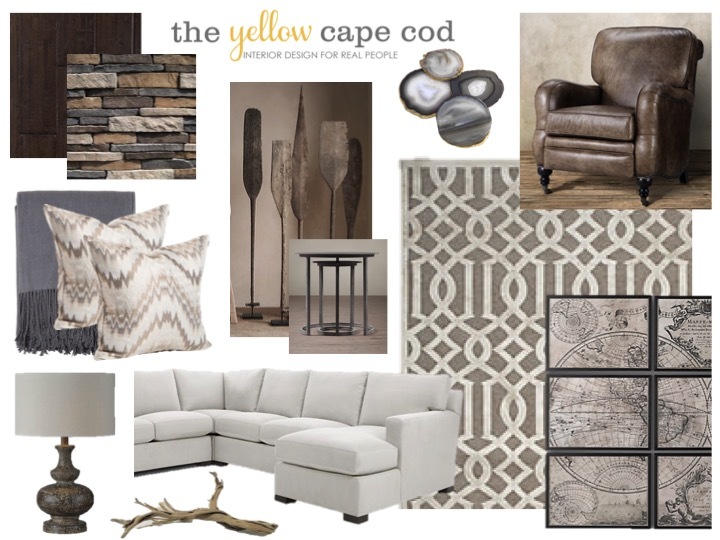 The first recommendation we made was a custom sofa (The Axis sofa from Crate and Barrel). The dimensions of this piece were perfect for the space. 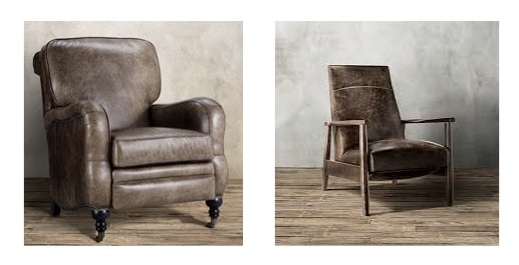 We found two handsome chairs covered in distressed leather for the clients to choose from. Both are unique from a style standpoint and both offer a reclining feature with a foot rest for comfort. One of my favorite things about this project, was incorporating some of the families special treasures, such as a vintage map of the Grand Canyon that they acquired on one of their travels. My advice was for them to have the map framed and matted by a custom framing shop. 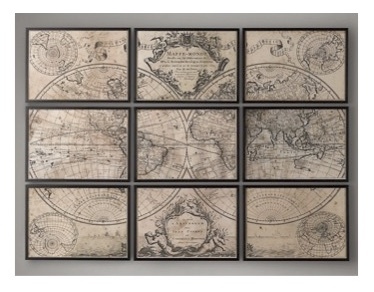 Another option was for them to purchase a collection of vintage inspired maps from Restoration Hardware. This would achieve a similar look in a larger scale. 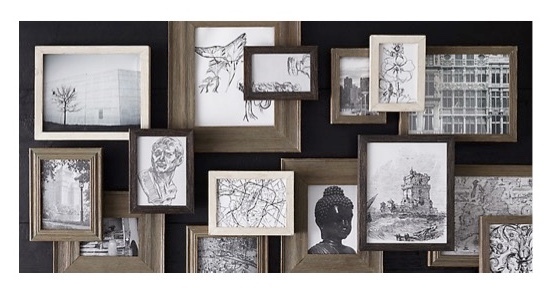 We recommended a collection of rustic frames in mixed finishes to showcase special family photos and some of the kids art that had special meaning to them. 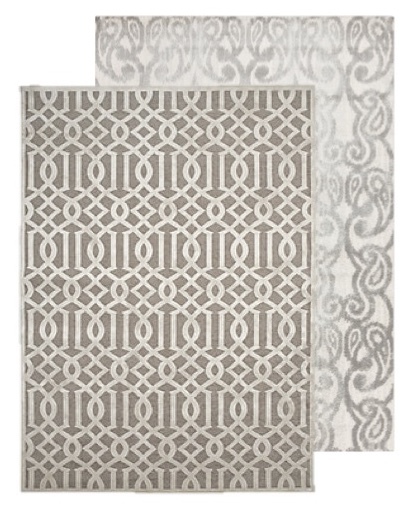 I selected a cool zinc finished coffee table and nesting end tables that have a clean, open construction. This helps to keep the space feeling open and spacious. 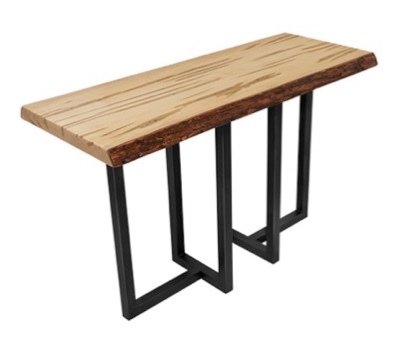 To give the design a very unique look and to add to the outdoor inspired flavor of the design, I recommended a custom, unique, one-of-a-kind live edge sofa table for the space behind the sectional. This is the first piece you will see upon entering the space, so we wanted it to be extra special. We recommended that our client fill her custom built-in bookshelves with the special treasures and mementos the family has collected together through the years. 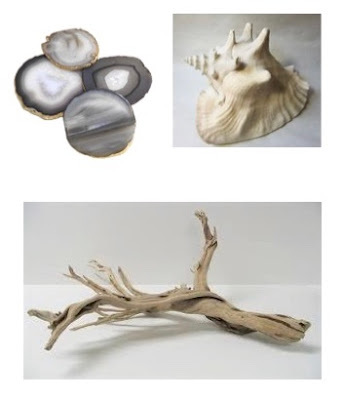 These treasures include rocks, shells, birch wood and a vintage buoy collection. 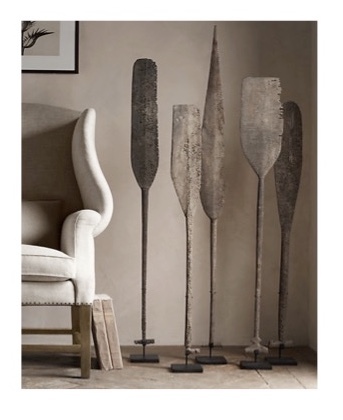 To lend a nod to the dad's and son's love of fishing, and to add visual height and interest to the far end of the room, I placed a set of five vintage inspired fisherman paddle stands. 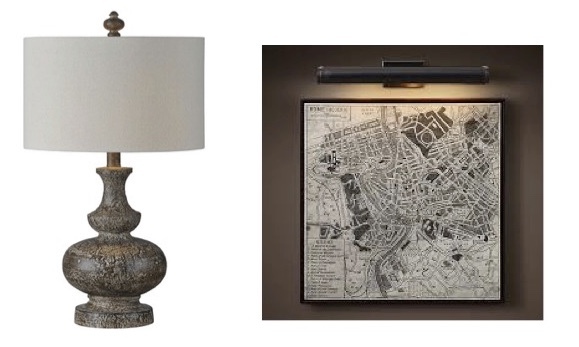 The lighting we incorporated included a stunning table lamp for the end table and gallery lights to highlight the vintage map display (and to add ambient mood lighting). For a little fun, and to add extra texture and interest to the space, I selected a pair of cow hide ottomans. 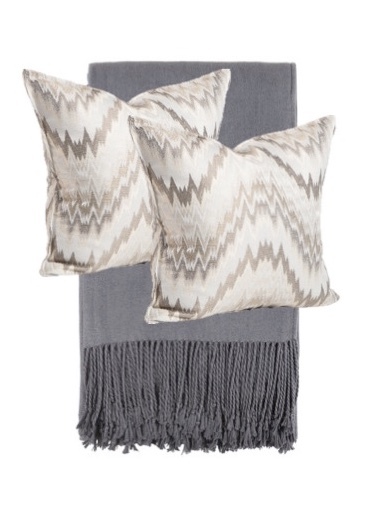 These are a true conversation piece and would add so much personality to the space. They would also come in handy as extra seating for the youngsters while entertaining. 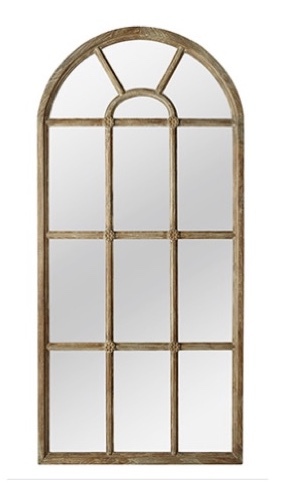 The last item we incorporated into the space is a large, rustic, teak, arched floor mirror that will provide a beautiful reflection of the new space as well as help to bounce light around the room and make the space feel even larger that it is. The sources for all of the items mentioned today are available at the end of this post. 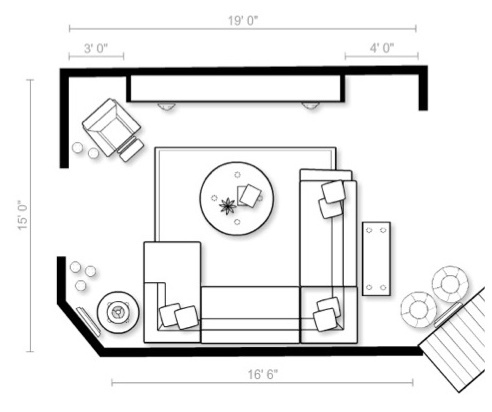 This space was a lot of fun to design for my client. 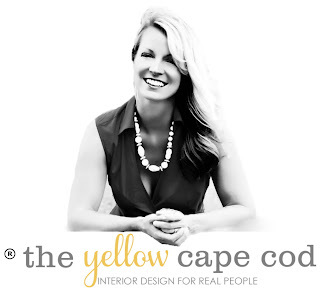 I'm very honored to have the opportunity to help families bring their unique personalities into their space and achieve the style they've always wanted their home to have. Thanks for stopping by! 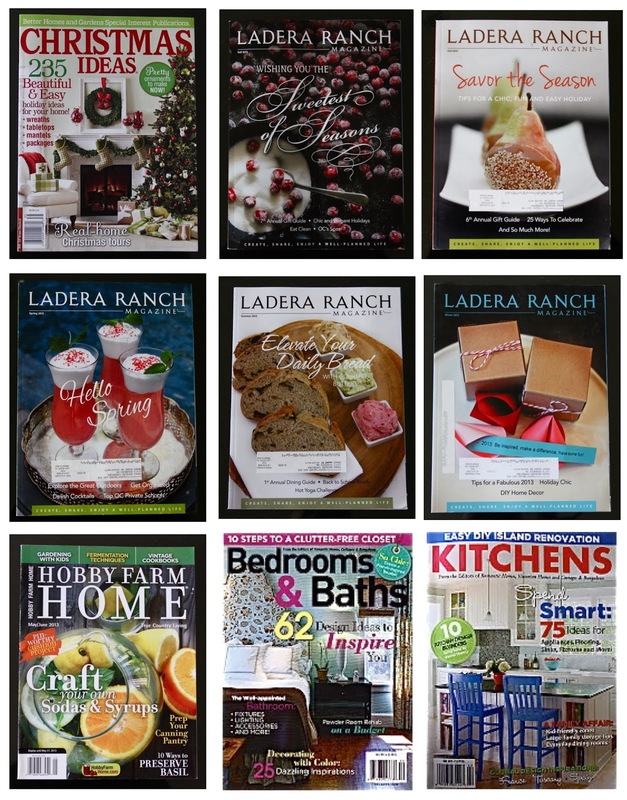 To see a list of all of the design projects featured in my 31 Days of Design Series, please click here.